Dust air is blown into the dust collector from the inlet. 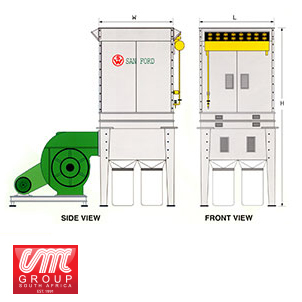 Big particles fall into the ash hopper bu gravity,while fine particles enters the filter bags with the air. 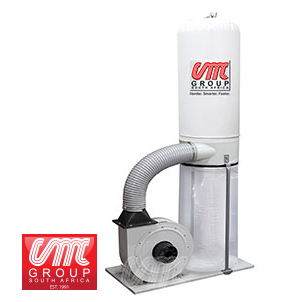 Fine dust is absorbed onto the filter bag surface,and clean air is exhausted. 3. East to control,no electricity waste. Suitable for heavy industrial application. Pulse jet automatically pulse the upper dust bags to let dust fall into the lower collection bags. Dis-assembled into three parts for container efficiency. Optional design: clean air can be returned t the workplace using an air-return device.